You will not find any apples. 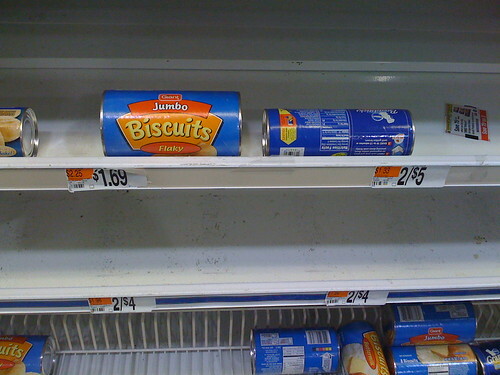 You will not find any biscuits. 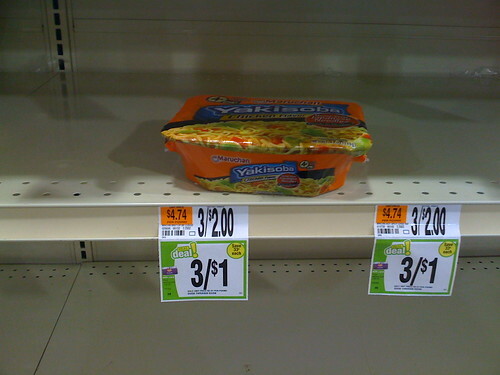 You will not find any yakisoba. You will not find out what happened on The Bachelor. But you will find more photos in this nifty slideshow. You can see the shelves looking like that at the DTSS Safeway even without a storm on the way. I am always amazed at the stupidity of the shoppers, who panic at the mention of snow. The weather bureau could mention snow in July and people would go nuts. Usually the main items that are bought are mild, eggs, bread and toilet paper. Most grocery stores get what is called a "snow drop" of these items. 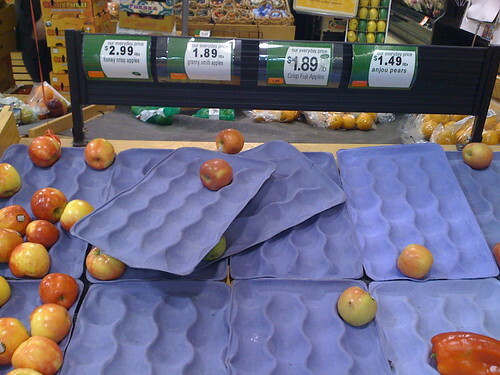 The shoppers in the D.C. Metro area are just nuts and the grocery stores cater to their stupidity. This video is AWESOME. Y'all should definitely check it out. If I can get power back anytime soon I will write more. Dan - hope you have power back by now and that you saw today's WaPo article on East County MoCo getting the shaft. See the Metro section front pg. I have to say, I've shopped at the Takoma Park Co-op before both of the big snow storms this winter and both times they were very well stocked. 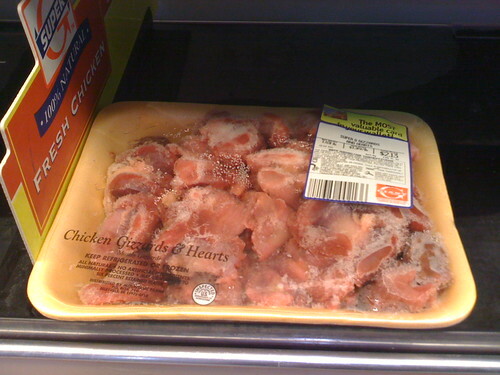 (Though I admit, I was not looking for yakisoba or chicken gizzards, so I may have missed some shortages.) More crowded than usual, but certainly no nightmare lines to the back of the store. This will definitely be my pre-snow shopping plan in the future.